A current flowing along a conductor creates a magnetic field. This magnetic field forms a cylindrical shape around the conductor and is called the ‘signal’. Note that this field is produced by current flowing, and not by voltage. While it is possible to insulate against the flow of electricity it is not possible to insulate against a magnetic field, and the shape of the field is not changed by cable insulation nor by the presence of different types of soil. With DC. flowing along the conductor, the field has a constant magnitude and direction, like the permanent magnet of the earth’s magnetic field. 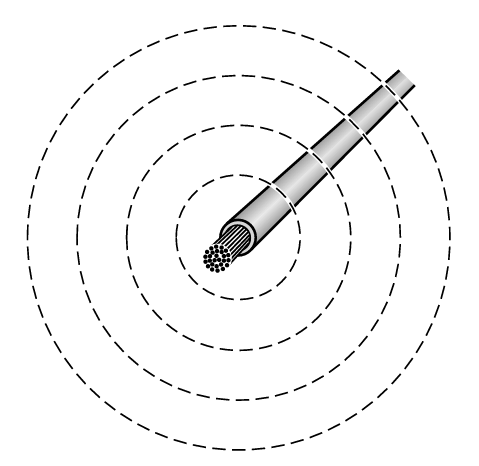 An instrument capable of measuring magnitude and polarity is needed to detect a DC. field. This is not feasible because of the difficulty of measuring a static field against the earth’s magnetic field. 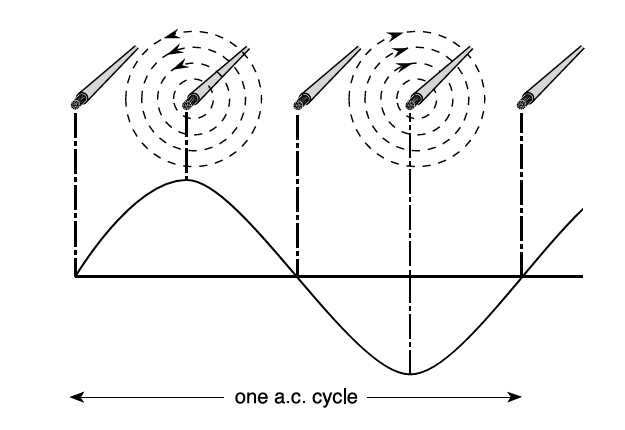 But AC not only gives a field but also an oscillating frequency of reversals, and it is this which makes effective location possible through the principle of electromagnetic induction.